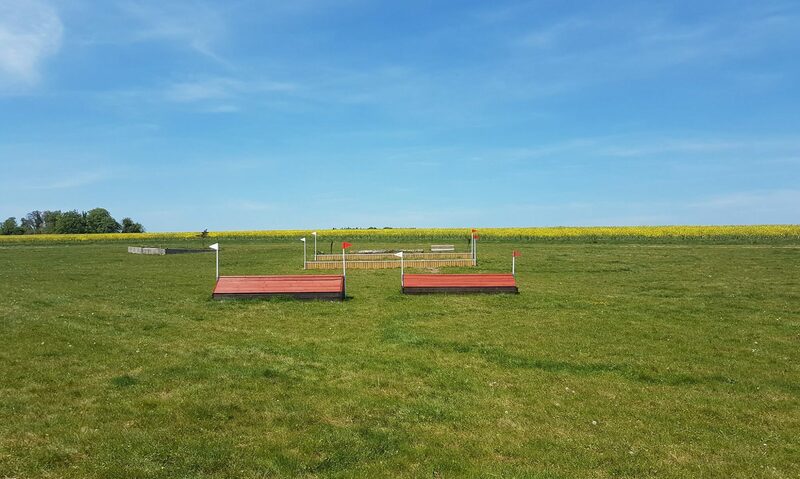 Our cross-country facilities were designed with a view to meeting the needs of the individual, the instructor wanting to school, and the Riding or Pony Club wishing to organise a rally, hunter trial or other event. We take great care of our fences, and frequently carry out repairs on both the jumps themselves and the take-off and landing areas in order to ensure the safety of our customers. Careful management and our free-draining soil means that we rarely suffer from waterlogged ground. Consequently the course is open year round. Over 40 different obstacles, some fixed and some portable, all in one place, in a specially de-stoned and grass-sown field, ideal for intensive practice or just having some fun. Had fun in the Schooling Field but want to stretch the legs and have a bit of run? Head out onto the Hunter Trial Circuit, which starts and ends in the Schooling Field. Drop down into the Quarry before setting off up the hill to the second water complex. Through the water complex, over the permanent rustic fences and on to the bank complex on the path along the brow of the hill – make sure to check out the view from up here!